Windows users can use System Information tool to check Windows version numbers, service pack level and the build number they are running on as Windows operating system. Windows version check using msinfo32 - System Information tool is the easiest way of checking all system related data, parameters, and values. 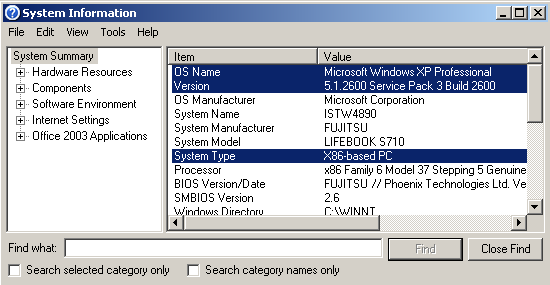 Here is the steps to determine Windows version using msinfo32 System Information tool. Windows XP users can type msinfo32 in Run Command screen. 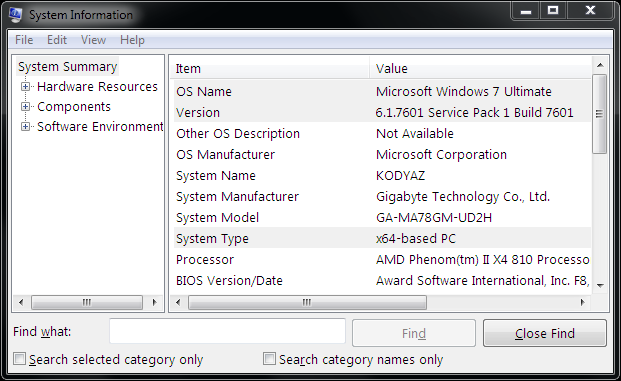 Windowss Vista and Windows 7 users can type msinfo32 in Start Search.